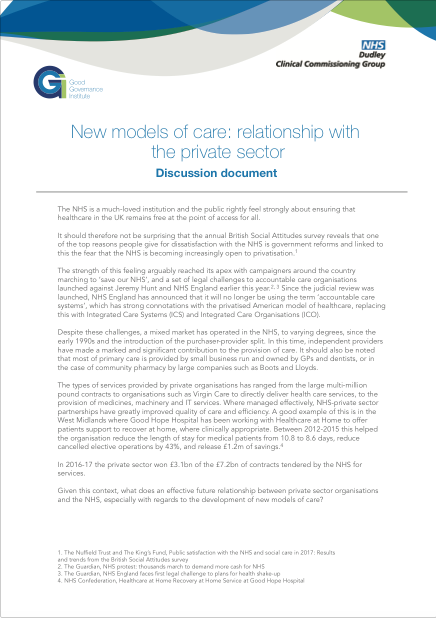 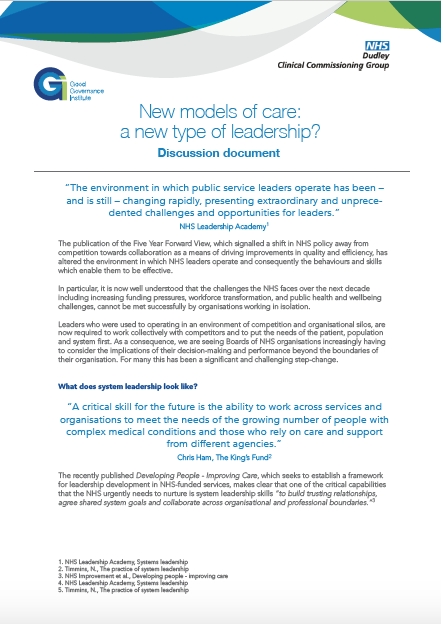 GGI and Dudley CCG briefing paper exploring some of the key challenges facing the development of New Models of Care in the NHS with a selection of questions for organisations to consider. 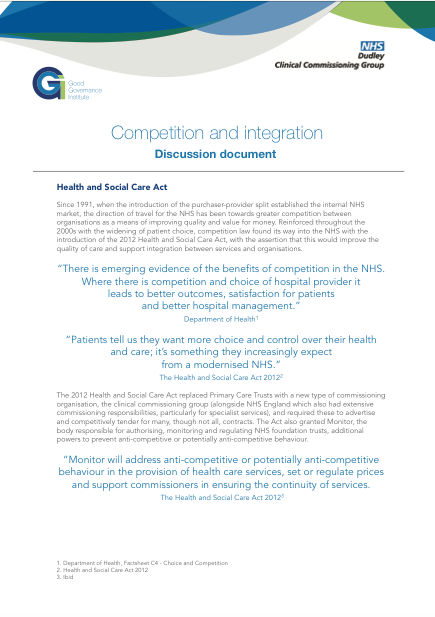 GGI is supporting Dudley CCG in the development of their Multi-speciality Community Provider (MCP) as part of the NHS Vanguard programme. 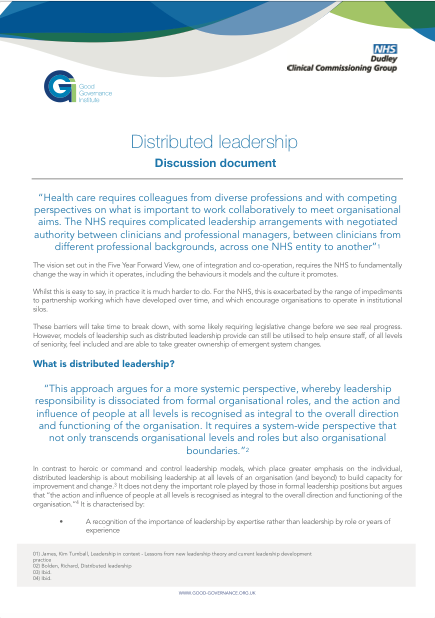 This briefing paper explores the area of ‘distributed leadership’ and the challenges this may bring. 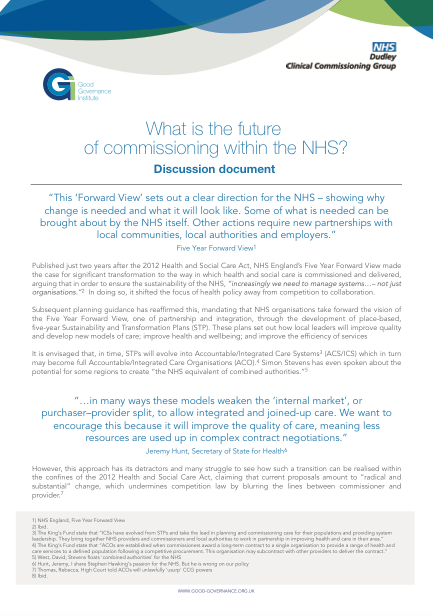 It is perhaps more commonplace in other sectors, especially education where significant research has been undertaking demonstrating its positive impact, but is increasingly being promoted and adopted within an NHS context.